In 2012, after years of trying to roast the darkest coffee imaginable, a bearded java fanatic named Mike Brown opened a small coffeehouse in Round Lake, NY, and named it Death Wish Coffee. Local reaction to the brew was intense, so Brown soon started selling the beans online. Next Sunday, Brown and his business will join the likes of Budweiser, Buick and Amazon when they run their first Super Bowl commercial. "It’s a world I don’t understand," Brown said in a telephone interview. "And it’s amazing." For the second time, Intuit QuickBooks is handing over 30 seconds of Super Bowl air time to a small business. The promotion, known as Small Business Big Game, is intended to show how the accounting software company can give a voice to emerging brands. 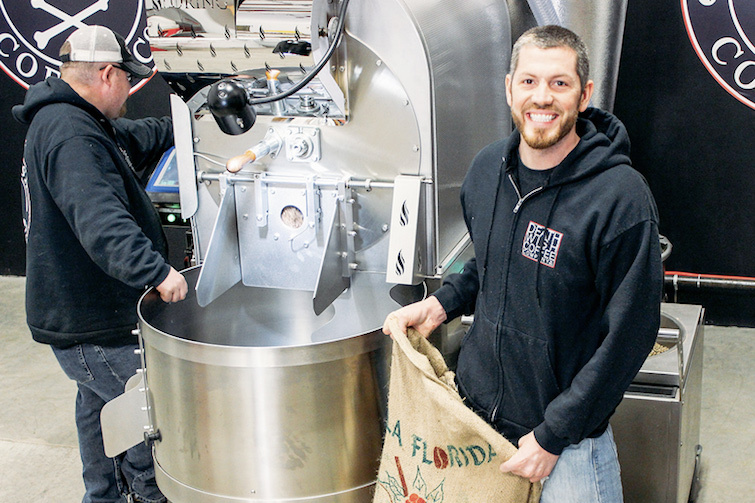 Death Wish Coffee was one of about 15,000 businesses to enter the competition last year. Intuit chose the company as one of its three finalists, and consumers voted it into the winner’s circle. And now, Brown and his company are bracing for their closeup. "Were really ramping up on production right now," he said. "We have about a quarter of a million pounds of coffee ready to go." The key to winning the competition, said, Brown, was working overtime with his six-person staff to make sure every response to Intuit’s questions communicated something special about Death Wish Coffee. "We poured our hearts into every answer," he said. "We spent lot of time getting the essence of our business down to the letter." The actual Super Bowl ad was made by RPA in Los Angeles (which also made 2016 Super Bowl ads for Apartments.com and Honda). But Brown was given a degree of creative control over the process, he said. "Quickbooks gave me an option of three ads," he said. "They had pitched them to me, I picked the one I thought correlated the best to my business, and they put together an entire Super Bowl ad in 60 days." Brown — who had never made a commercial before — was given script approval, and was even on-set for the shoots. But "mostly I stayed out of the way and let the experts do what they’re great at," he said. The most surprising thing about the process? "The number of people involved," he said. Intuit isn’t yet sharing details of the commercial, which was still being finished as of Wednesday evening. In 2014, Intuit’s winner was GoldieBlox, the interactive toy company that seeks to inspire girls to take an interest in science. In an encouraging sign for Death Wish Coffee, GoldieBlox went on to win "People’s Choice" and "Most Educational Toy" at the 2014 Toy of the Year Awards, and even had a float in the 2014 Macy’s Thanksgiving Day Parade. Brown has high hopes for his own small business, but he won’t be in town to watch the game with his loyal patrons next Sunday. "I’ll be watching the game with the Intuit staff," he said. "They’re bringing me out to a Super Bowl party in San Francisco."